Last year was quite the year for Sony's San Diego Studio. Right around a year ago they put out their yearly iteration of their award-winning baseball franchise and had a stellar outing with MLB 14: The Show on the PS3 and Vita. 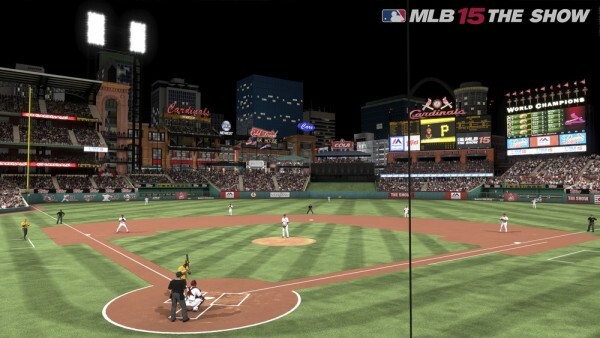 A month later they released MLB 14: The Show on PS4 in a completely revamped version of the game. I still look back and marvel at how successful SCE San Diego was with both versions of the game. 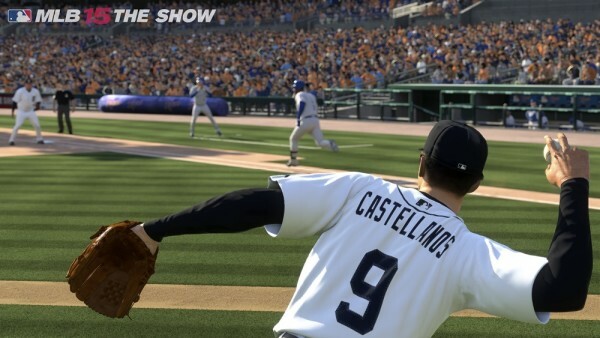 The question that comes up, though, is with even less time than normal to develop this year’s iteration of MLB 15: The Show how would they manage to keep things fresh in this year’s game? One of my favorite features of MLB 14: The Show was one that you wouldn’t even notice no matter how long you played it: year-over-year saves. That’s right, for the first time (that I know of) in a sports game you have the ability to bring your save from MLB 14: The Show into MLB 15: The Show. When I opened up the game for the first time and jumped into the franchise mode the game immediately asked me if I wanted to load my save. I completely forgot that was even a feature. I went for it and picked up on the 94th game of the season as the first place Los Angeles Angels of Anaheim. It was seamless. The only wonky part was that for any player that retired between seasons (14 & 15) had their names removed and had a randomly generated character in their place. Needless to say I jumped right back in and felt like I never left. That being said the big reason why you’re probably reading this review is to know what’s new. Outside of transferring saves from year to year (which in my opinion is a big deal), the bullet point list of new stuff over last year’s version is limited. There are really two big improvements to the game this go around. First up are the visuals. They're stunning. That’s not to say last year’s game wasn’t great, but this year there is a level of polish that wasn’t there. Crowds are far more responsive to what’s going on, and the entire stadiums feel alive. Have a game go to the ninth inning and you will feel the crowd come to life. Player models have also been improved. Skins tones seem a bit more lifelike and less glossy. There are also a lot more animations in the field which makes things feel a bit more unique. There are some negatives though. I had a handful of times where after exiting the pause menu, pieces of the menu would travel with me into the game. I would then re-pause and then un-pause and they would go away but it was a weird annoyance. There were also a few times when animations would get a bit wonky. But those totaled to far less than 1% of my time with the game. The other big change this year is directional hitting. Ever want to pop a line drive down the line? Before it was sort of a game of chance. Now you have the ability to take the right analog stick and direct the ball. It’s a nice system albeit an incredibly difficult one to get down. I struggled my first dozen games using the new hitting controls. At some point though I was up at the plate with Josh Hamilton and the infield shifted towards right field leaving a wide gap at third base. I took what would have been a single and had an easy stand up double by just directing the ball down the line. It sounds easy but it takes a lot of time to get it right. One of the big complaints from last year’s game was online play. I’ve never been big on playing The Show online but for this review I played five games online and had really positive results. Only one of the games had any lag issues but they were only sporadic. I actually found that my time online was actually really good. In the past I always had a lot of bad luck being randomly set up against individuals, but so far my experience online in MLB 15: The Show has been extremely positive and I plan to sink much more time in then prior entries. Outside of those two updates, the rest of the game has gone unchanged. That’s not a bad thing though. 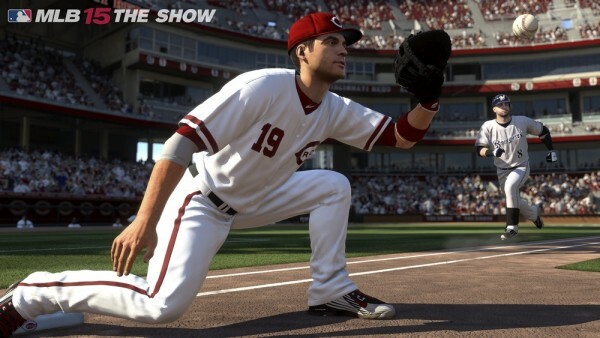 MLB 15: The Show is still easily one of the best sports games on the market. From hitting to pitching, to fielding and running the bases everything is extremely well designed and polished. It’s a shame that there isn't more competition in the baseball video game arena though as this game feels like one of the safest updates to the series in years. It’s not a great option for those that already invested in MLB 14: The Show, in fact I probably wouldn't recommend the upgrade. However if you’re new to the PS4 and want to enjoy a little of America’s past time this is one of the best sports games available on the PS4 today. MLB The Show 17 is still a great game of baseball but one that with each season seems less and less impressive compared to other sports games available. With a lack of competition, it's hard to not recommend. But with each year I'm still wanting to see the team at Sony San Diego push the envelope even if there isn't any competition to force their hand. This might sound odd, but I love reviewing sports games. I really do. I’ve been doing it for over a decade and it’s an annual check in to see how some of my favorite video game franchises are doing. With the start of spring, it means it’s time to check out and review the latest baseball game from Sony San Diego, MLB The Show 18. In my review of MLB The Show 17 last year, I mentioned that I felt the franchise was beginning to feel a little long in the tooth. So, were there big changes in this year’s game? The core game here is still fantastic but it’s in need of some major overhauls in the moment to moment action on the diamond to keep it at the high pedestal the franchise has been at over the years.